8th October, 2014, one of our sponsored students, U Sin Ian, graduated from Institute for Tourism Studies, PP Ip and PP Synthia attended the ceremony. 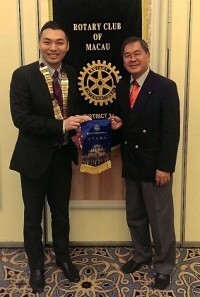 The parents were so happy and appreciated the support from Rotary Club of Macau. Please join me to congratulate Rtn. 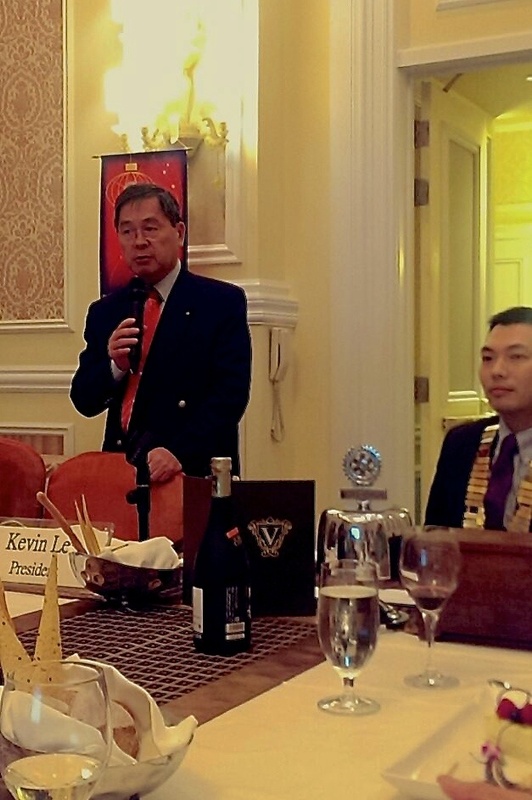 Maeder raised over RMB 50,000 in his birthday parties both in Macau and Shanghai. All this funds Maeder contributed to The Pfrang Association, which will enable a gifted young girl – Ye Lu, to finish the Medical College in Anqing. Thank you PP Fred, he became a Paul Harris Fellow again, congratulations! -October 23 (Thurs) 8pm for 8:30pm @Sands Hotel, Macau; Speaker: District Governor Nominee Eric Chin; Topic: “IT/Social Media in helping District and Clubs to engage members”. 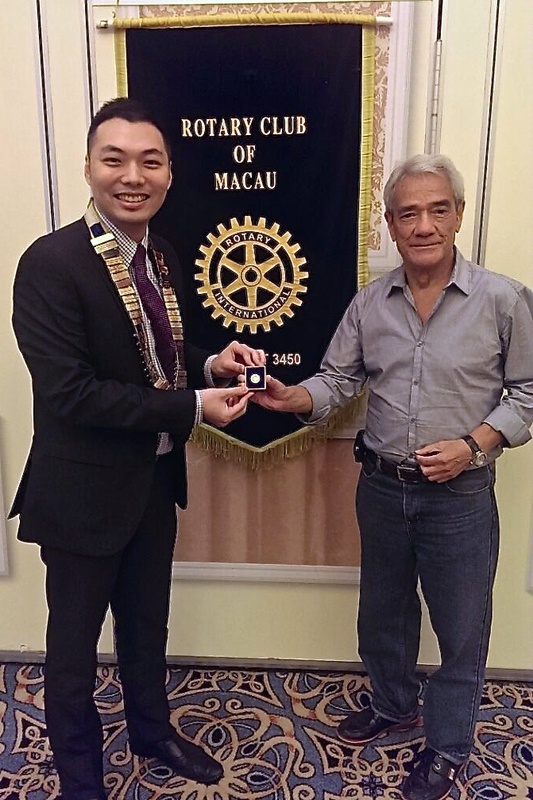 Rotaract Club of Macau will join us in this meeting and they will have a signing sister club agreement with an India Rotaract Club. Please come and share the joy. -October 30 (Thurs) Social Night: Halloween Party @Spirito Bar, Portofino Restaurant, Venetian. -October 21 (Tues) 12:30pm – District Vocational Service Seminar; Venue: Centenary Room, G/F, Marco Polo Hong Kong Hotel, Harbour City, TST, HongKong; Topic: “The importance of audit in our society”; Speaker is David Sun, B.B.S.J.P.Esq., Director of Audit, Audit Commission, The Government of HKSAR. There is no fee payable and the attending Rotarians are required to pay for their own luncheon fees, at $300 by cash at the reception. -October 24 (Friday) 6:30pm Rotary Club of Aberdeen Inauguration Ball; Venue: Inter Continental Road, TST, Hong Kong.Theme:”007 James Bond”. RSVP. -November 30 (Sunday) Rotary Happy Run 2014 – 8km; Starting Time: 8:00am @Shatin Sports Ground. Enrollment Deadline Nov 5. (If you are interested, please let me or secretary know, we will email you further information). Thank you and see you on Thursday at Sands Hotel, 23rd October, 2014 at 8pm for 8:30pm.